During our time in Paris we had a lot of things to get used to. The language, the culture, the food and of coarse getting around the city. 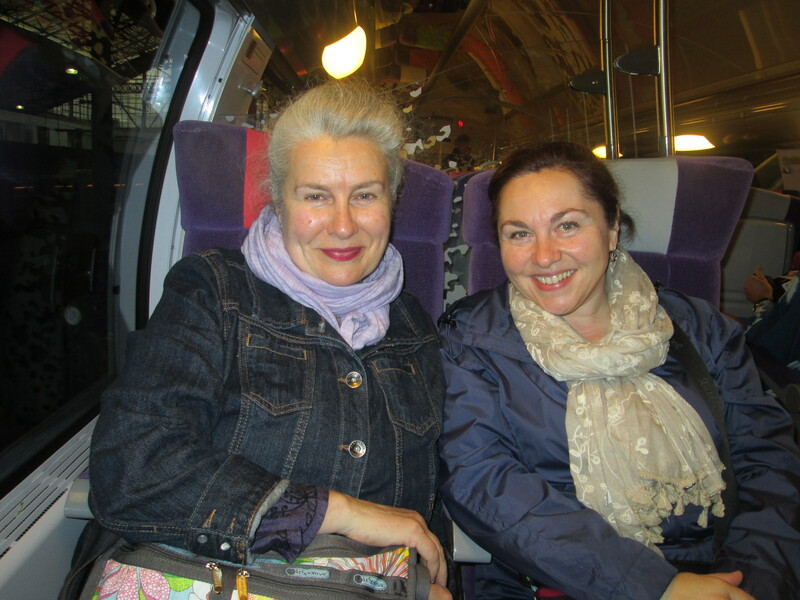 As we became accustomed to the culture, getting used to certain social cues, and using the metro with confidence Paris felt less foreign every day. 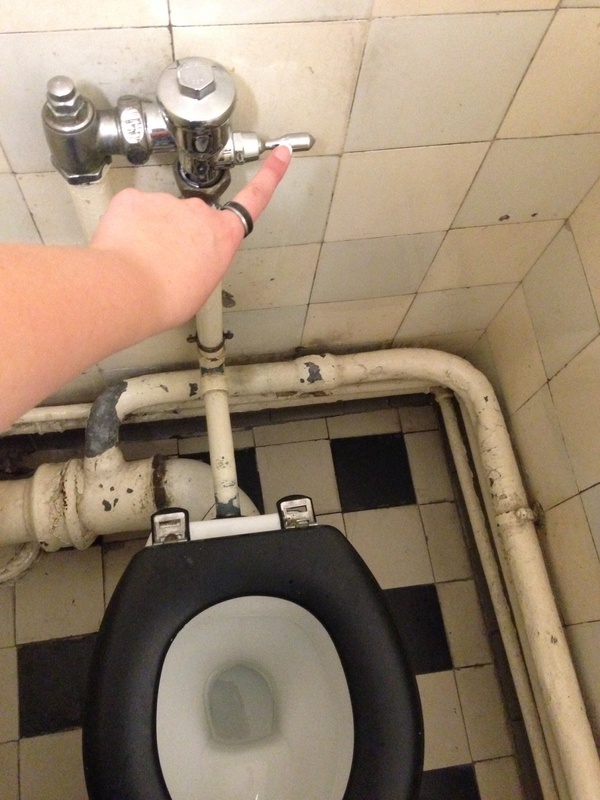 By the time it came to return home to the states there was just one thing about Paris that I still didn’t know how to process, their toilets. No, I never saw a bidet while staying here but still they have some pretty funky bathrooms here. 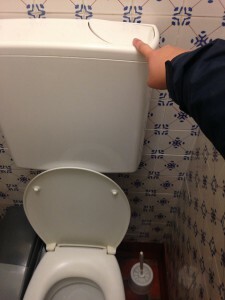 Every time we would walk into a restroom we had no idea what we would encounter in there. Call me crazy but I documented as many toilettes as I could and here they are. This first isn’t so scary but still, a button? Not to mention the tiny amount of space in there. This next one is what started this all. It’s a Turkish style “toilet”. No those aren’t foot petals…. They are grippers for your feet. Caution when flushing, these actually sanitize EVERYTHING in there. 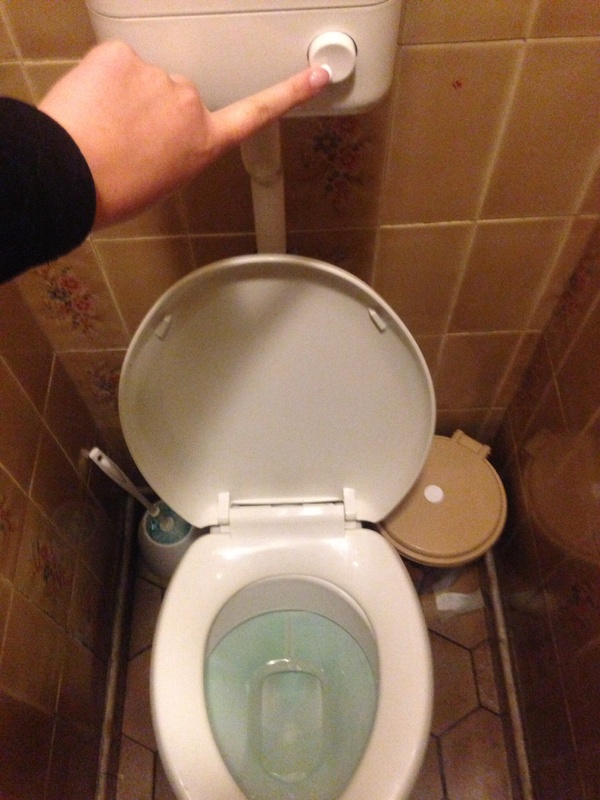 We encountered one in Normandy as a stand alone public toilet, you pay 30 cent euro and the door unlocked letting 1 person in to use at a time. We figure we would “rig” the system so we wouldn’t have to pay each time for all of us to go, bad idea. The whole inside of the “room” became one big toilet bowl. It was quite a show, too bad we were too busy laughing to get a picture of it. This next one threw me for a loop. After experiencing the Turkish style I had no idea what except from there on out. 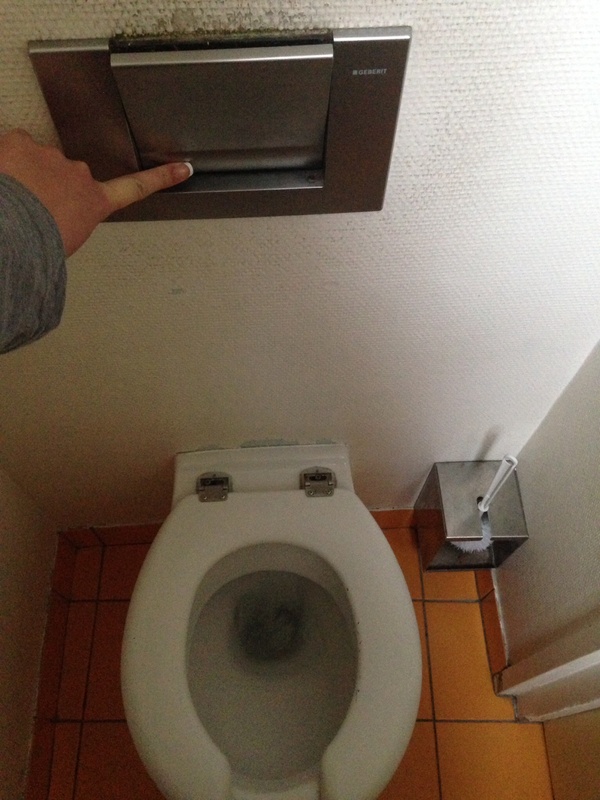 I’m looking for a knob or a button or a lever to push to flush the toilet. On this one I’m looking around and find no lever or knob. I do see this metal thing on the wall that looks like the trash chute in an airplane bathroom. 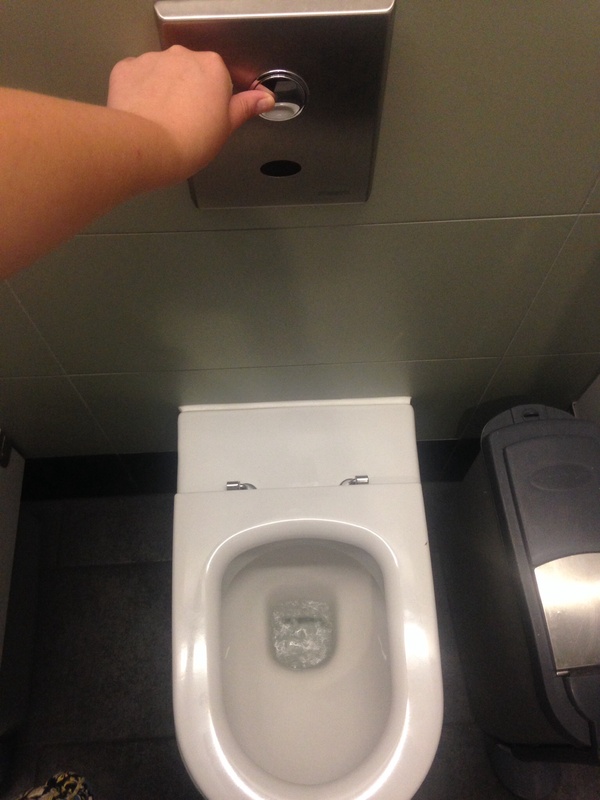 It was the only thing in there that could have possibly been the lever to flush and lucky for me pressing it worked! So this next one has two buttons. I know that France is very energy conservative so each button has meaning for how much water is used. The problem was that I had no clue which one was which! I just took a guess. 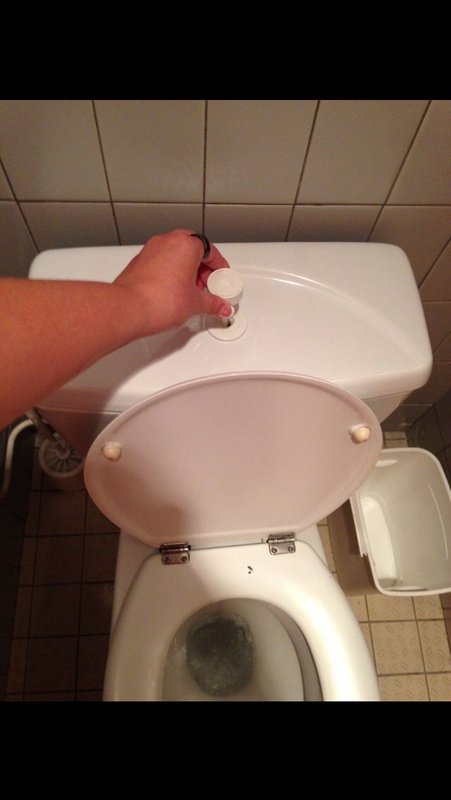 So given the last toilet I posted here are two more buttons. Thinking the same thing as the last one I would have to choose one button over the other. Nope, not with this one. 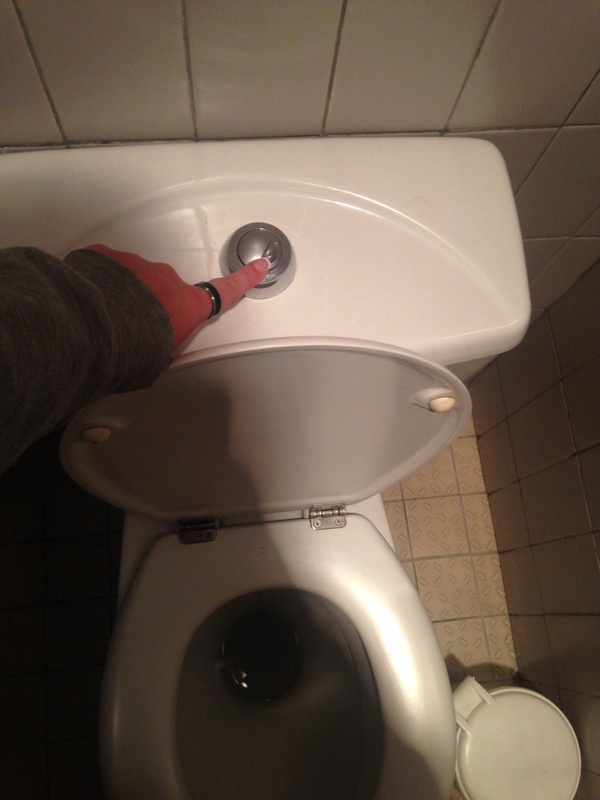 That smaller button is just for show, it has no purpose with this toilet. If you press one the other goes down too, no rhyme or reason it to. This toilet was in our dorm in the “creepy” bathroom that we avoided as much as we could. Our dorms were not as bad as this bathroom makes them look, after coming home I actually missed my dorm a lot more than I thought I would. We were in the American house and this was the most “American” toilet I found during the whole trip. This one was at Claude Monet’s gardens (in the gift shop bien sûr!) just looking at the toilet you couldn’t see that there was a button there to push right on the back! I looked around for a while and was about to start touching everything trying to find the secret button when I saw the small indent on the edge of the button. 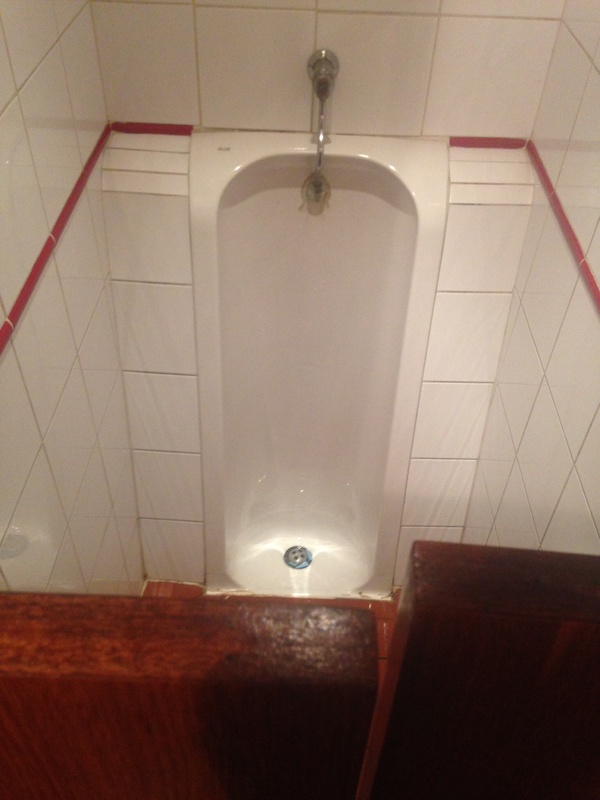 Ummm, I think there is something missing… Maybe a seat? 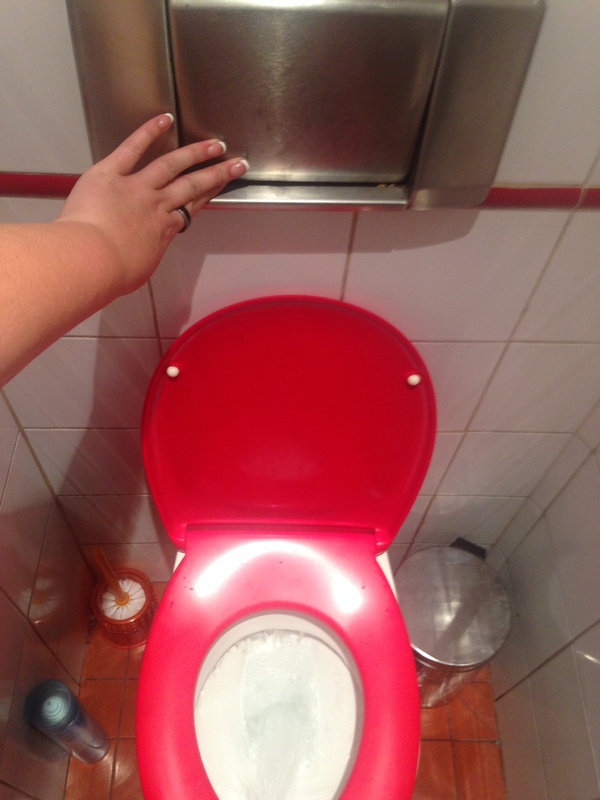 No clue why all the toilets in this restaurant were like this but they were. These three photos go together because this bathroom was crazy. 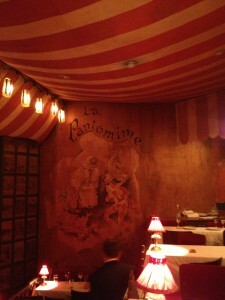 This was the restaurant we ate at in Montmartre before heading to the Moulin Rouge. How fitting was it that this toilet was red on the night we go to the old “red light district”. It also has that weird airplane trash chute as the flusher. What else was weird about this bathroom was the men’s stall. It was just 2 swinging doors that lead to a urinal. The doors were like the swinging saloon doors you would see in old western movies. It was pretty strange but it gets stranger. 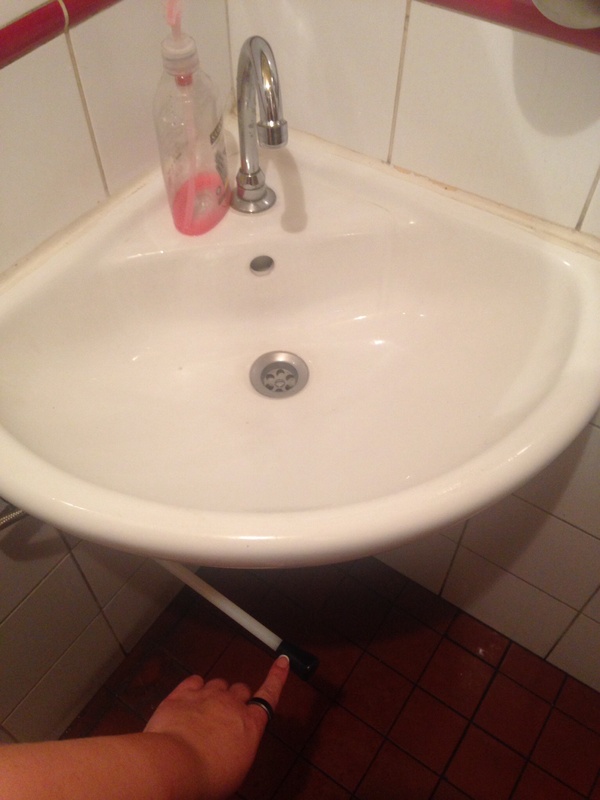 To turn the water on in the sink you had to hit this lever with your knee and keep it there. Defiantly the second strangest bathroom we encountered (because the strangest was the Turkish style toilets). this was the craziest sink! 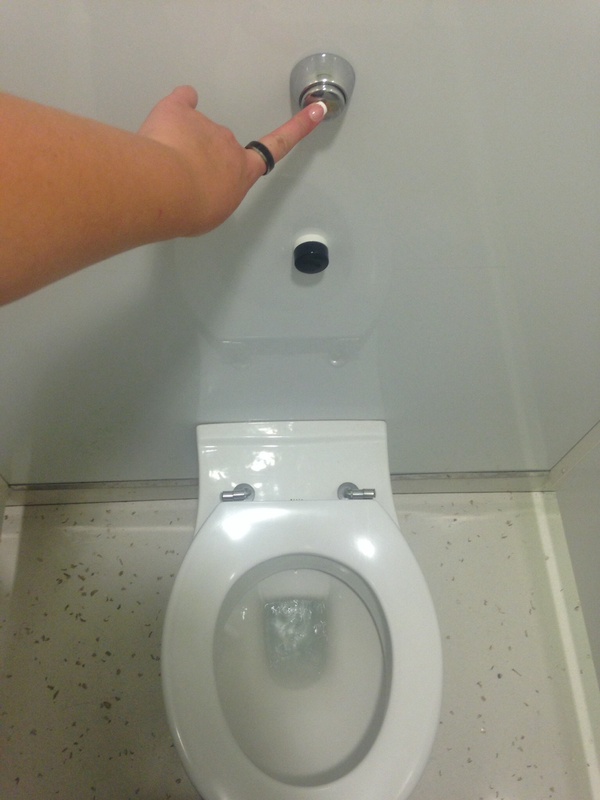 This next one was my favorite because i was so proud of myself for figuring this one out, I actually had to tell the new people on my floor they had to “pull up to flush”! 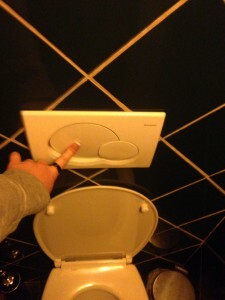 During our layover in Dublin, Ireland this is what we found for toilets. 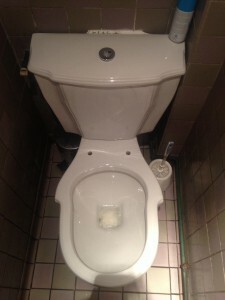 Pretty similar to that toilet in Paris that was missing the seat, except this one wasn’t missing one! They just come that way I guess. Back in America at Logan airport we have the typical public restroom toilet. Standard automatic American toilet. 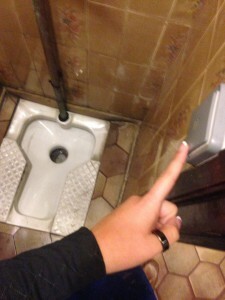 Unfortunately I did not get to document every single toilet I encountered in France. This all started because I never knew how to flush the toilets, after almost a week of being in Paris I thought it was a little ridiculous that this was still happening. 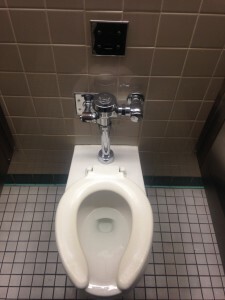 I never knew if I had to pull a chain hanging from the ceiling, step on a pedal, push a button, pull a knob, or potentially put my hand in a trash chute and for another thing I didn’t know if I should run for cover if the whole stall would turn into one big toilet bowl! Overall I had a blast collecting photos for this blog and every time someone from the group would come back from the restroom they had to report back how it was in there. 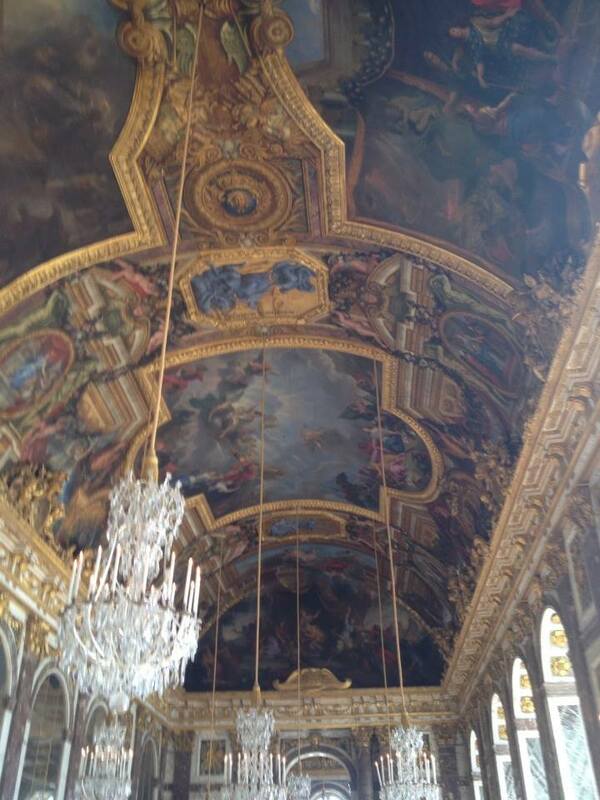 We all had a great time in Paris and it was definitely the trip of a lifetime! As I sit here at home in front of my computer, I feel as if I am writing to or about someone that I haven’t seen in years, whose memory has danced in my mind, painting a picture almost like a dream. Clearly, the romantic in me has surfaced. Indeed, there is truly no better subject to be sentimental about than love, be it of a person, place, ideal, or cause. It is a bit of all of those concepts for me. 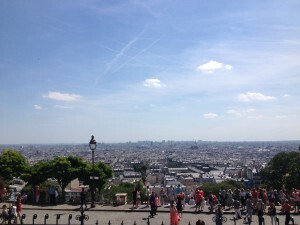 I have fallen in love with Paris. My Paris. The Paris that is the French’s and the world’s all at once, yet is distinctly mine, tailored not to the scope of my imagination, but to the intricate detail and warm tones of memory, joggled involuntarily by the sight of a baguette crossing my cash register, the scent of red wine after if has had proper time to breathe in the glass, or the delicious, harmonic cadence of the French language as it caresses my ear as happenstance will have it. The city that I have fallen in love with will let me slip into her flowing arteries of traffic, shopping, and subways, and like the current of the Seine, carry me to an ocean of serenity. Initially, it is the idea of the city that enchants: the uninhibited luxury of the Champs-Elysee, the soaring triumph of the Eiffel Tower, the stately resolution of the Notre Dame, the inconceivable treasure of history of and in the Louvre. It is only when those images of the city fall, when the shades of expectation are lowered, when la vie en rose becomes la vie en couleur, does Paris invite you to share in her splendor, and for the first time, you witness her stunning beauty. My introduction to Paris was traffic along the motorway and an inexplicably complicated circumnavigation around the Arc de Triomphe, in what only could be described as making Massachusetts drivers look like Catholic school children. The buildings were not Haussmannian, the population not the elegant beret-wearing bourgeoisie smoking hand-rolled tobacco from a cigarette held tightly in a long, thin metal holder. They were normal people. The first sounds were not violins and accordions perfuming the air with their romantic melodies, but people sneezing and yawning in an airport terminal, searching for their bags they promised themselves they would recognize. Then car horns and strings of unintelligible swearing. Beautiful to the ear, but utterly impossible to understand. Perhaps for the better. It was however, when we began to uncover the streets tucked away behind the mundane-looking buildings and corridors that Paris – in her true form – became real. The cafes, the boulangeries, the arcades, they enticed, and unlike what is forbidden to do in the subway, I stared longingly at them. My love was not unrequited. No death glare, just quiet pride. It was when I traversed the streets alone that I discovered the paradoxical axiom of the city – that in a place such as Paris, you are always alone, even in a crowd. There is a civilized quality to eating alone, walking alone, living alone, that, be it residue from the war or custom from generations previous, appeals to the romantic charm of life. Indeed, to follow this paradoxical course of life, there is one person you must be able to tolerate: yourself. In Paris, after many years of uncertainty, pain, tragedy and loss, I realized without question that I love myself. With that love, the streets of Paris seemed miles wide and, even in pouring rain, brimming with optimism and hope. Do the buildings ever marvel at the intricacy of humankind, in the same way we marvel at their sublime ornamentation? I’d like to think that their builders intended that to be so. On our final night, as we floated down the Seine, the history of hundreds of years paralleled our course. Thousands of people lined the river to converse with each other, meet new people, pursue eventual carnal pleasure, and wave at visitors in neon green vests passing in tour boats. We passed them as we gazed at the buildings we had discovered the weeks before, the buildings that were now more than names, the buildings that exist outside of fantasy. We passed the singular brilliance of the Eiffel Tower, as it stretched up to the sky in copper yellow. The cameras flashed around the boat, the image immortalized in pixels and in resolution. I took none. I gazed in love and humility at this wonder. I felt every instant of that moment, lived it. Lived it there and then. I immortalized that picture in my memory, in my soul. At that moment, without question, I knew I would return. My long-distance relationship would remain steadfast through time and circumstance. The fantasy was gone. The reality was far more stunning. I was in love. As I sit at my computer thousands of miles away from that place – with the possibility of getting a proper cafe gourmand almost nil – I sit in quiet contentment and reflect on my great fortune. How, even if I were to fall penniless, I would still guard this jewel with me for my whole life. The City of Lights, a city that fought for her freedom and witnessed the ebb and flow of history build and fall within her limits, shone her warm beam of illumination upon my face and captured my heart. I see the Metro map in my mind. I hear the clinking of plates in the restaurants, I smell the soup and pastries and Metro stations. Those things make Paris, Paris. I see the faces of the restaurant owners who sat us down and helped us order our meals. The woman who told me – in French, of course – that her first duty is as a mother. I see the smiling face of my first friend in France, standing in the sweltering box along the Boulevard Jourdan making a crepe or croque-monsieur for me for the third or fourth time in just as many days. That is what makes Paris, Paris. I see my new friends, as we sit in the airport, in the subway train, or walking along the cobblestone streets of Versailles or taking our places at a restaurant, never knowing exactly what we’re going to get. That was what made Paris, Paris. A singular moment in time that will reverberate though the years and grace our memories with a majestic point of light that extends to the heavens. A light that reminds us all, that, to return together, separately, or if only to live in the pictures that captured time at an instant, or even still in the warm glow of recollection, we’ll always have Paris. 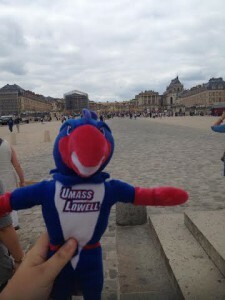 Now that the on-site portion of the UMass Lowell in Paris summer program has just come to an end, we thought we would share our reflections of these amazing days. The dynamic among the eight students on this trip was always positive and upbeat. We were very fortunate that everyone got along so well and that students were genuinely engaged in both the activities and culture with which they were presented. The bonding and camaraderie among the whole group that developed and persisted throughout the entire three weeks made our jobs as professors a true joy. Our daily schedules were packed from morning until late in the evenings and included a formidable amount of walking (including during several days of rain). 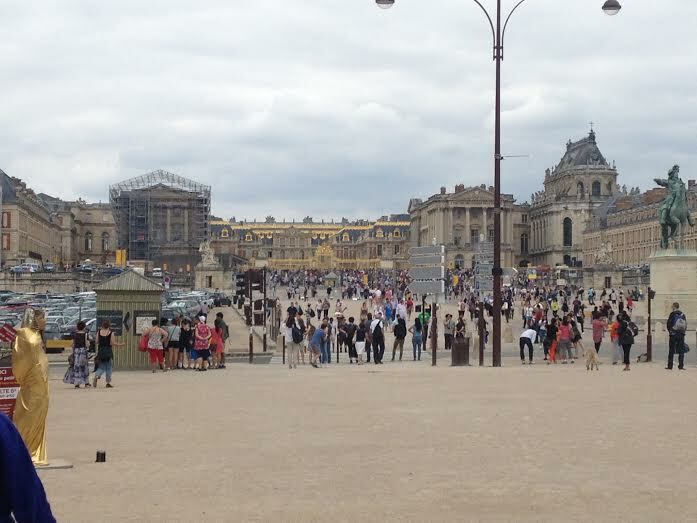 Nonetheless, each student openly embraced this unique opportunity to immerse themselves in French art, culture, language and society. Our days and nights were filled with visits to numerous art museums and architectural sites, gastronomic adventures (such as cooking lessons, picnics and our daily restaurant excursions), film watching and trips to the Cinemathèque and BnF, as well as celebrating popular events à la française such as the 14th of July, the Bal des Pompiers and the cabaret du Moulin Rouge to cite just a few activities. Living at the Fondation des Etats Unis in the Cité Universitaire Internationale de Paris afforded a unique opportunity for everyone to both immerse themselves in an international setting as well as to enjoy a vast green campus along with the exceptional municipal Parc Montsouris. Living here contributed greatly to the overall experience as was evident in student journals all of which mentioned local landmarks and now-familiar personalities of the neighborhood (a.k.a. “Crêpe Man”). This full-immersion program has afforded our group the knowledge necessary to navigate the various neighborhoods in this leading European metropolis, and students now have a feel for the nuances in French culture, a more integrated understanding of French history, and on the linguistic level, everyone has added exponentially to their comprehension of French. 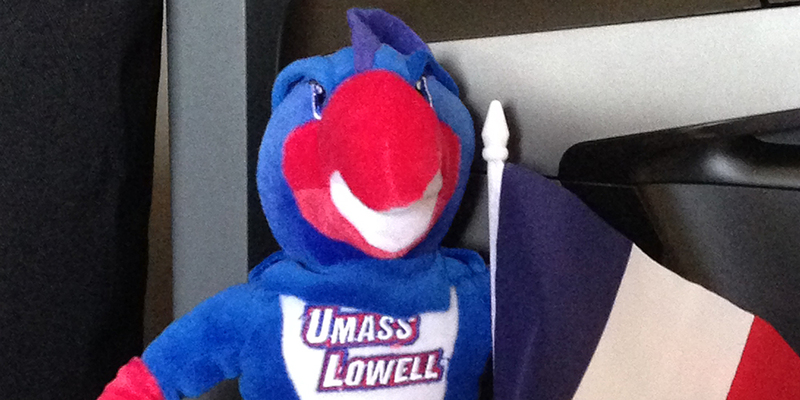 The 2014 UMass Lowell in Paris summer program has been an exceptional opportunity toward world-readiness. Just as in the past, learned individuals participated in the European “grand tour” to augment and complete their educations, our UMass Lowell students have embraced this experience and have had their lives and understanding of the world forever changed. We, as the professors leading this group, are delighted to have been able to share our knowledge and personal experiences of Paris, a city we both love and in which we both have lived and studied. We will always remember these days with each of you fondly. Yesterday was the final day. By 9 a.m., everyone had to be up and ready for their rooms to be checked. It was a really bittersweet day because over the last 19 days, we have all gotten so close. I, personally, feel as if I have made some lifelong friends on this trip. We had a great group of people, each with our differences and similarities, but we worked well together nonetheless. As we left everyone off at the Aer Lingus gate, I realized that yes, this is it: the trip is now over, but the bond that we had together, the friendships we made, they will never be forgotten. 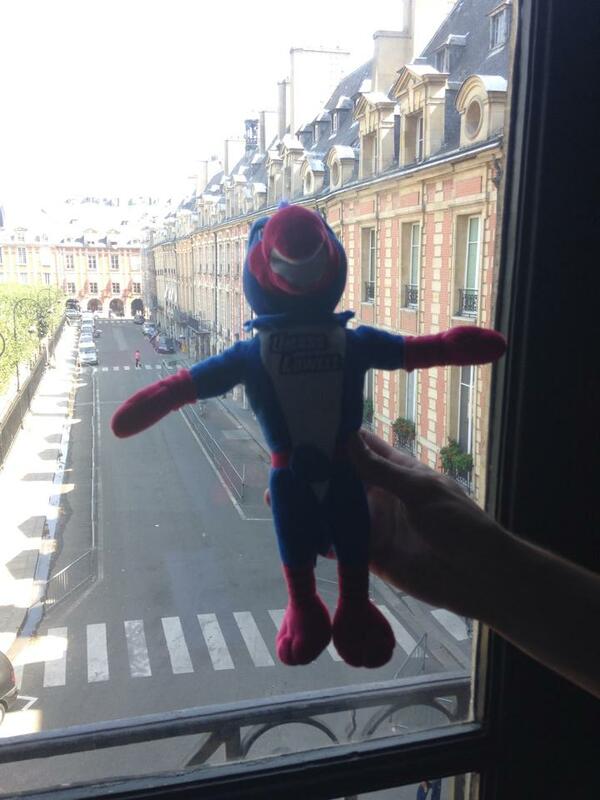 We will always remember that zany group of people who came to Paris as strangers but left as close friends. 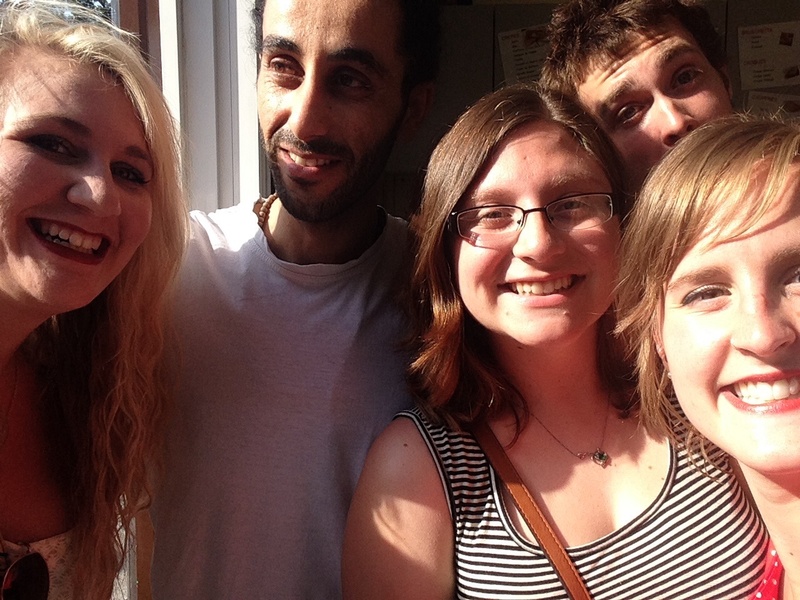 I love them all so much and I feel really lucky to have been able to participate in this Study Abroad program. Later in the afternoon, when I went alone to get a sandwich from our friend the Crepe Man, he asked me if I missed my friends yet, and I realized then I had never really been alone on this trip. 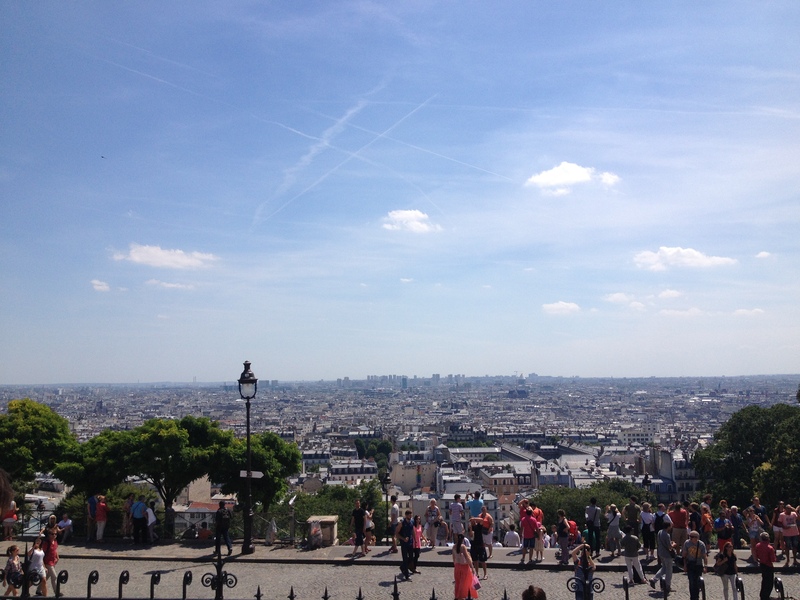 There were always people around me and for the first time, I really felt that you could be alone in Paris. But I don’t really feel alone here because I have the memories of the friends I made on this trip and also I know that I will be seeing them again soon. So today is the day that we all knew was coming but were dreading, departure day. Staying up all night packing and remembering our first days together it feels weird leaving now, it feels like I’m leaving home. Im so happy that I went on this trip with this group of people, I couldn’t have imagined a better group to go to Paris with. We stayed up talking about how it feels like we only just arrived at the Cite but going back and actually talking about our favorite parts of the trip made us realize how much we have done and that it has been 3 weeks. Three weeks of packed schedules, museums, tours, cafes and sightseeing the days start to blend together, in a good way. The goodbyes have been hard, to our favorite food places that quickly became “our place” we called him “the crepe man” and he was really our best friend here. Saying good bye to this city, on our walk back from a bakery we got breakfast at it started lightly raining and we looked a each and said the city was sad for us to go. Leaving my room this morning for the airport I looked around my room to make sure I had all my belongings and I got this feeling that I would be back here for certain. On the RER to the airport I was expecting to feel really sad about leaving but it ended up not being so bad of a ride because we just talked about how much fun we’ve had on this trip and are planning our reunion back in Lowell already. Once in the airport and our professors had to leave us it really started sinking in, this is the end… of this program. As we were boarding the plane we saw our last french ads and listened to our last french announcements, it hit me, we have been LIVING in France for the last 3 weeks. We came here as students visiting a country, tourists, and ended up feeling like we could belong there. The flight to Dublin was short and I kept feeling like we weren’t complete as Jia, Lilly our professors remained in Paris. It will be strange coming back to America and readjusting to our culture and not being with this amazing group every day. This was an amazing trip and I met amazing people during our time abroad. Even if I don’t see some of the friends I made we will always have Paris. I was anticipating our visit to la Place des Vosges not really knowing much except that a close relative of mine, an aunt, lived had an apartment there years ago. She emailed me last week week saying that she lived there for “six glorious months in 1997” and wanted me snap a photo of her old home; needless to say, I did. While we walked around the square I noticed that most of it consisted of cafes and art galleries, which I thought must have been nice to be surrounded by every morning. 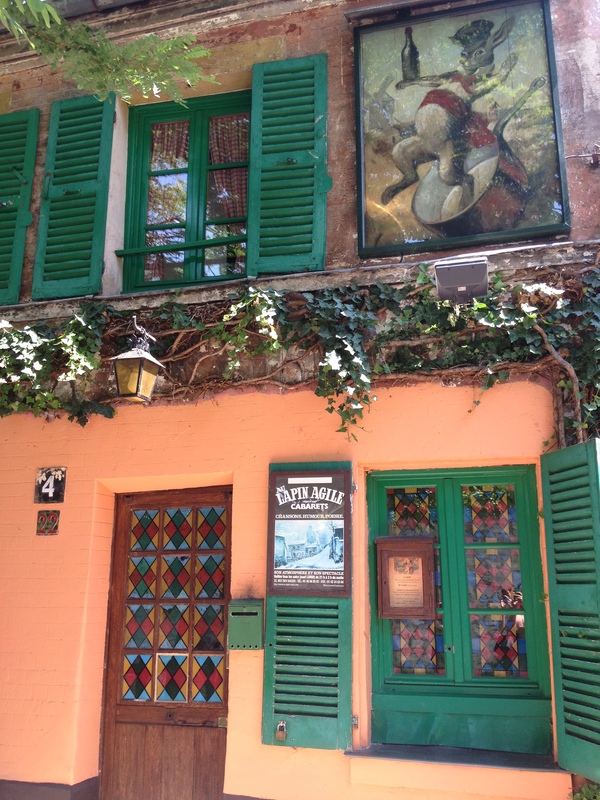 Eventually we ended up at the former home of the politician, artist, and, most famously, writer, Victor Hugo. The specific apartment we visited today was Hugo’s home for a long while before he was exiled by Napoleon III for certain political writings. It’s impossible not to notice the distinct difference in the way each room is decorated; one room consisted of lots of eastern influenced sculptures and designs, while others had elaborate floral patterns on the floor, walls, curtains, and ceiling. Dr. Salmon explained to me that, in the 19th century, someone as important as Victor Hugo would decorate their home as such to display their importance. An interesting piece of furniture in Hugo’s home, pointed out to me by Dr. Salmon, was a table that he specifically designed for himself and fellow francophone writers such as Alexandre Dumas. On each side of the table there is a writing station reserved for each of them. We were also able to see the famous writing desk that Les Miserables was written on. It was and incredibly odd feeling to see such old items that, at one point, were the devices on which such important works were created. 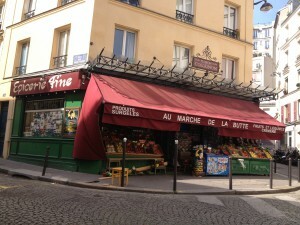 One of my favorite movies, “Amelie”, was also filmed in Montmartre. While we were there, we did a little scavenger hunt about places that appeared in the movie. Actually, they are not hard to find at all. First we passed by a window that was covered with Amelie’s posters and screen shots from the movie, and then we realized that it was the Collignon’s fruit stand. 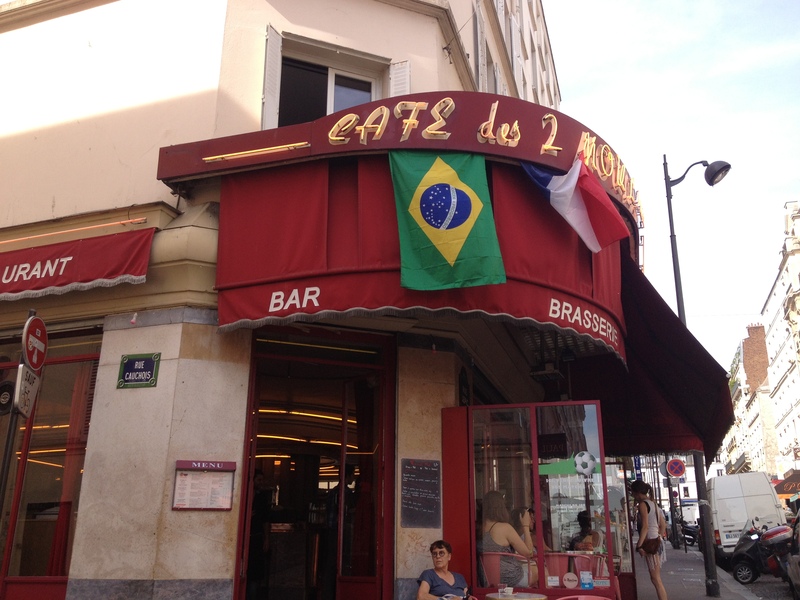 Later in the day, after we finished the tour, we all agreed to find the cafe that Amelie used to work at. 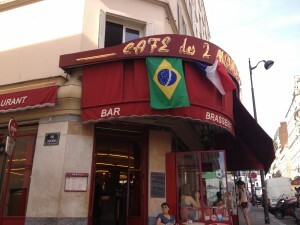 The bar is still called “Café des 2 Moulins” as it was in the movie, and the interior of the bar was not changed that much. In reality, there is no tobacco stand in the cafe. The WC is really interesting, they kept something that appeared in the movie, such as the Mr. Pig lamp beside Amelie’s bed, Amelie’s father’s red hat dwarf, and some pictures from the movie. At night, our professors took all of us to the Moulin Rouge. 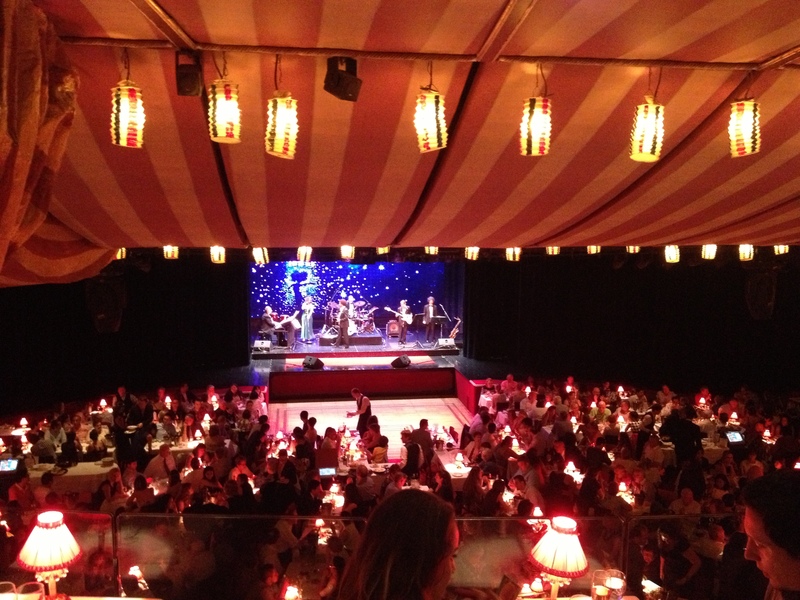 It is the most famous cabaret in Paris, the famous French Cancan dance originated from here. The big red wind mill is its signature, and it has red lights all over the place. There are three shows everyday, one at 7:00 pm, one at 9:00 pm, and one at 11:00 pm. We watched the one at 9:00 pm. 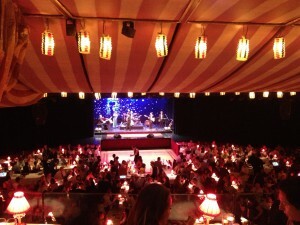 People are not allowed to take pictures during the performances, because there are professional photographers to take pictures for the customers. 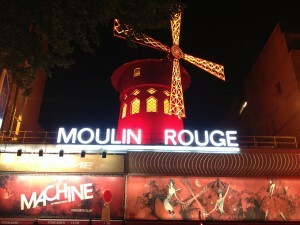 Moulin Rouge is a very commercial place, and most customers are visitors from all over the world. It is a variety show with dancing, acrobatics, animal performances, ventriloquist, etc. All of the dancers wear very elaborate costumes. Of course, the male and female dancers are all pretty and handsome. 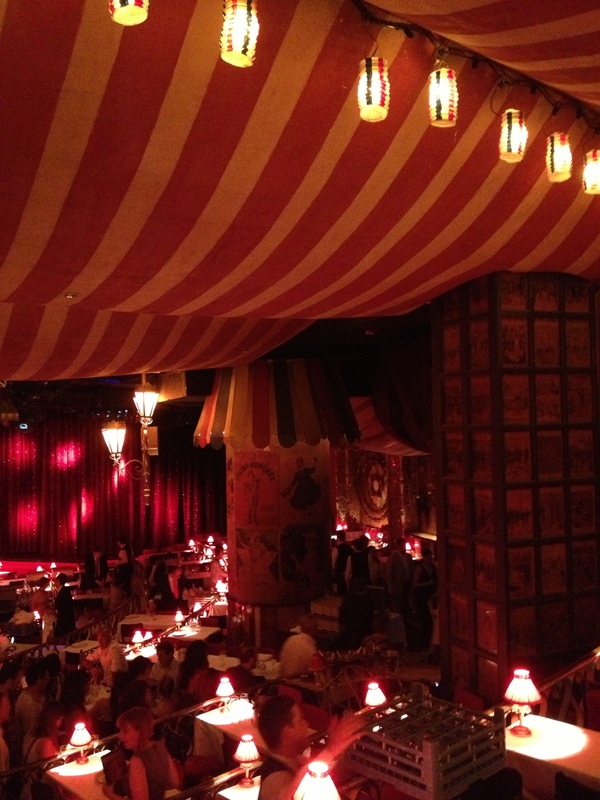 The interior of the Moulin Rouge is authentic to the 19th century, I really like the decorations, and took many pictures of it. After the show ended, all of us came back to the Cité Internationale by specially reserved cars instead of taking the metro. It was the first time for me to see the night view of Paris, it is beautiful. Today is the high point of our tour, both literally and figuratively. Today is all about Montmartre. 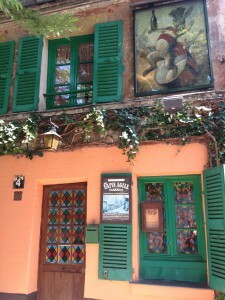 Au Lapin Agile is one of the oldest cabaret in Paris, which was built in the 1860’s. It is pretty small, you might not even notice them when you pass it by. 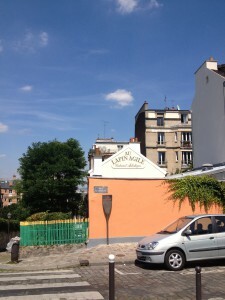 But it was the favorite place of many many artists, writers, and painters. Such as Picasso, Modigliani, Apollinaire, and Utrillo, just to name a few. On the front wall of the cabaret, there is a rabbit dancing on a pot, which is a signature of the cabaret. A lot of interesting stories happened here. 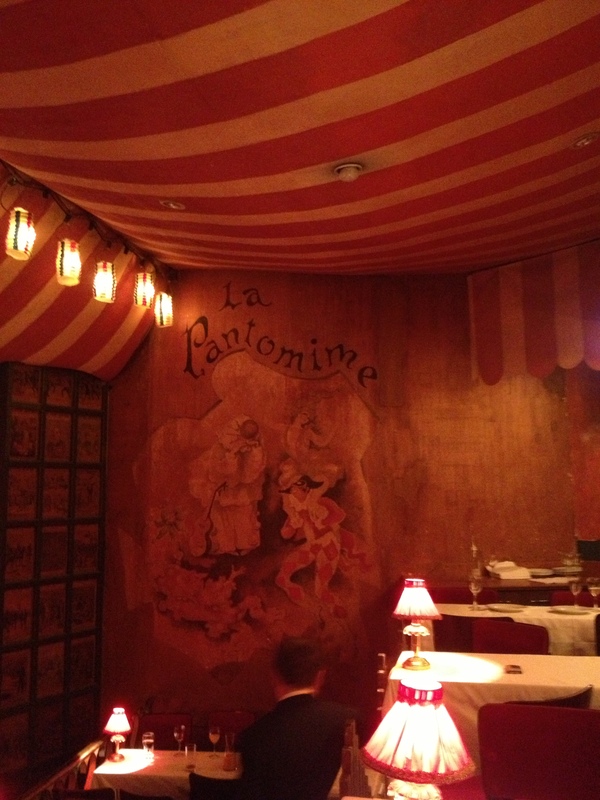 For example, Picasso gave one of his paintings to the cabaret’s owner to pay for his bar tab. The owners sold the painting a few years later for twenty francs. In the 1940s, the painting was sold for 42 million dollars at auction! 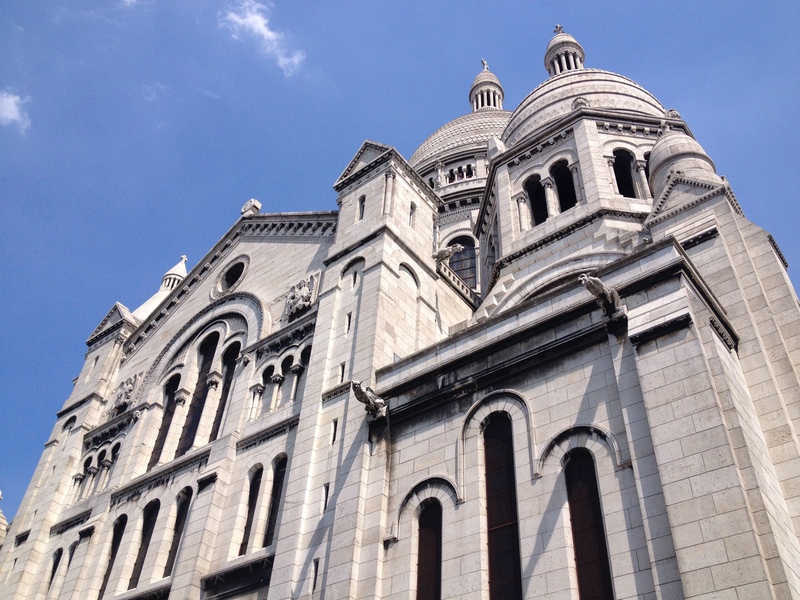 Sacre Coeur is a church built in the 19th century. What’s special about the church is the location. People can see the church from almost every corner in Paris, and we can also see the amazing view of Paris in front of the church, so it becomes the best place to take pictures. Also, people believed that the church has the relic of the heart of Jesus. Tonight everyone came back really late, so we will finish the rest of the post tomorrow. The BnF (Bibliothèque nationale de France) is the second national library built in Paris because the first library ran out of room. This sign next to the building states that it would take 150,000 years to read all of the books in the BnF library.. wow! 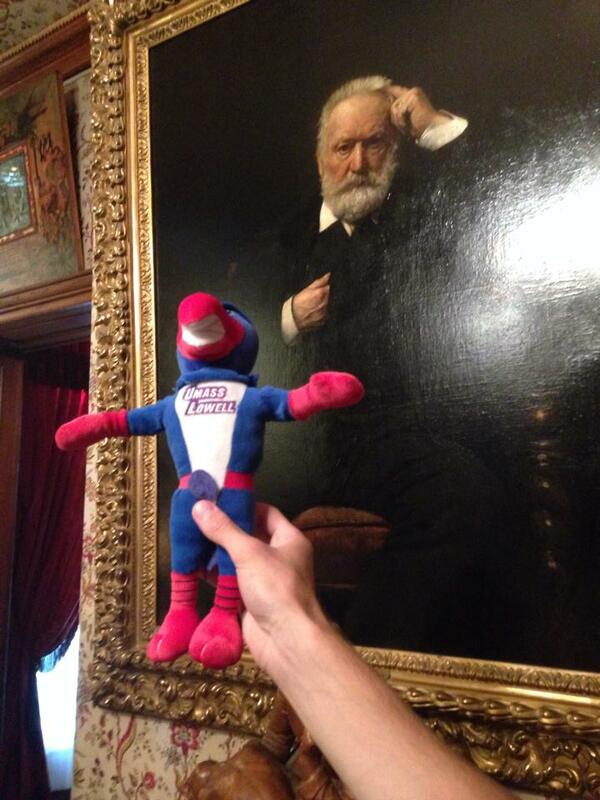 Here we see Rowdy reading one of the BnF buildings! This new library was built in a contemporary architectural style in which all of the external walls are glass. The buildings appear to be four open books with a real, exotic forest in the center. All of this is very interesting and beautiful, but not quite practical. The forest is full of plants that are not indigenous to Paris, therefore it is very difficult to keep them alive – beautiful idea, but expensive, and not quite practical. 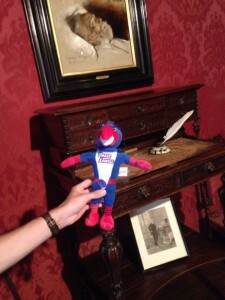 Rowdy liked the forest because he could fly with other birds between the library buildings! The Mk2 Cinema has about 18 screening rooms for films and even though we didn’t watch a film inside, Rowdy really wanted a picture with it! After this, we went to the Cinémathèque Française. It was simply amazing! The first filming took place in Lyon in 1895. The first film showing was a mere 52 seconds long and the English name for the film is called “Exiting Lumiere Factory”. From early on, films were becoming popular, and cineastes realized that they needed to protect their work. This is when copyright laws began to appear for films. Unfortunately due to copyright restrictions, we were not allowed to take pictures inside the Cinematheque but I truly wish I could show you! 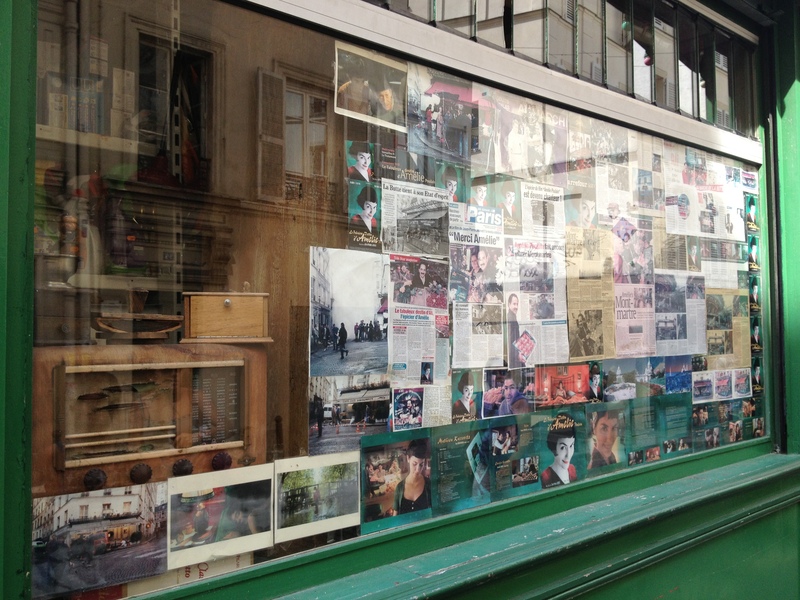 Inside was the display of the history of film! We saw many Charlie Chaplin props and videos as well as Jean Cocteau films, props, and pictures! The evolution of film is just incredible! This poster was made in support for Henri Langlois who was a major pioneer of the preservation and collecting of films. He was the co-founder of the Cinémathèque Française whose purpose was to save, preserve and show many films that were being neglected or destroyed. 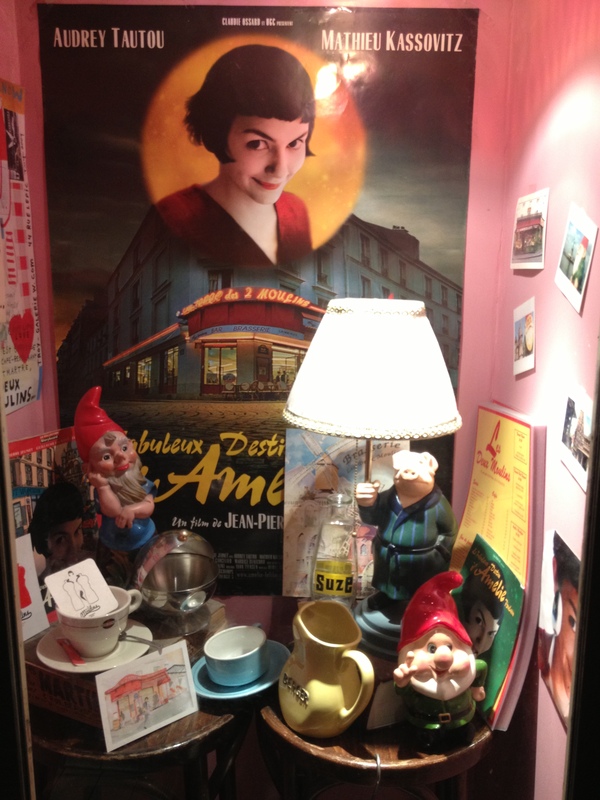 To top off the evening – we watched one of my favorite French films: Amelie. 1. The 14th of July fireworks from the Eiffel Tower cost a mind-blowing 600,000 Euros! Louis XIII went on a hunting trip in Versailles and after this trip he became interested in the place so he bought a plot of land. He then began to buy more and more plots of land which led to him buying most of the land in Versailles. 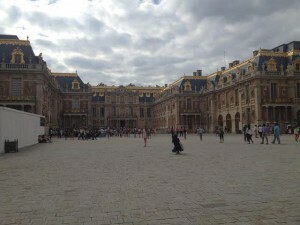 Once he began traveling to Versailles more and more he built a small hunting lodge. This land was mostly hunting grounds, forests, and swamp. The land was full of deer or what else could be hunted during the season. This town was full of only 500 people when Louis XIII started this venture. The Versailles that Louis XIII knew was wilder than the Versailles that we see today. 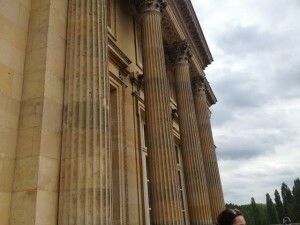 Under Louis XVI people start to build higher. By the time Louis XVI and Marie Antoinette were sent to Paris, the population had increased from 30,000 to over 60,000. 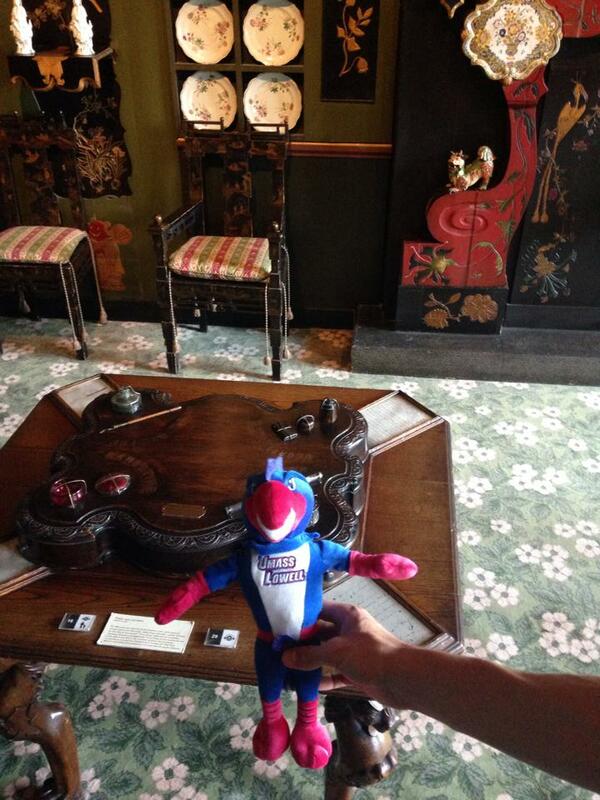 The Petit Trianon was a gift to Madame Pompadour from Louis XV, and was given to Marie Antoinette by Louis XVI. The architecture of the Petit Trianon is classical and most of the design elements are taken from ancient Greek architecture. This was a little jewel box for Madame Pompadour and Marie Antoinette. 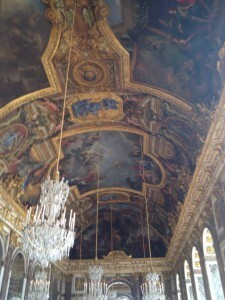 The downstairs was where the servants worked and upstairs is where Marie Antoinette and guests would spend their time. 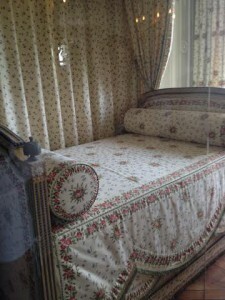 There was a billiards room and a bedroom. 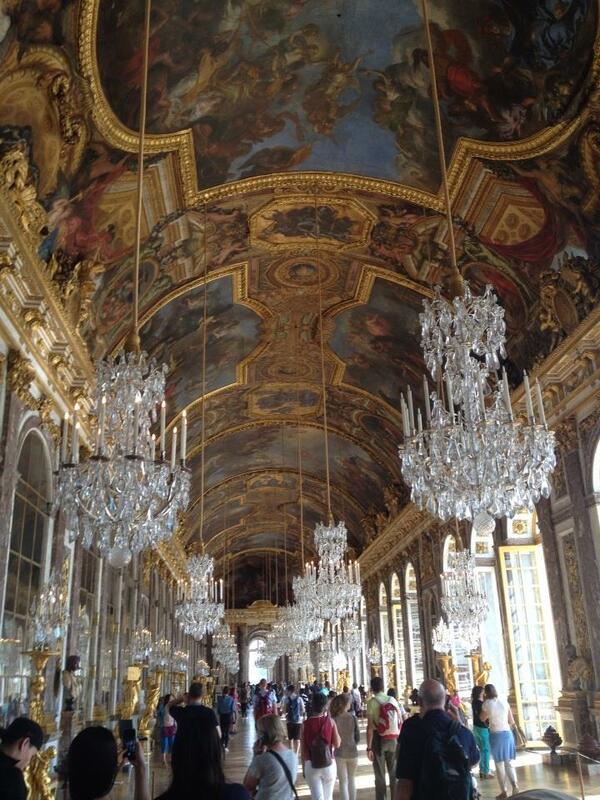 This building was considered the smallest, but still the sheer size of the building was astounding. Then walking inside, and exploring the rooms really showed how big it was on the inside with the design of the room and the light bouncing off mirrors. Compared to the main palace though, this small jewel box that these women lived in seemed like the best place to stay. 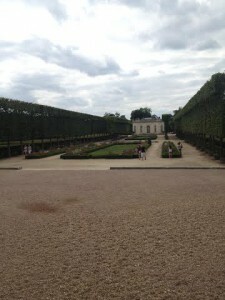 These were two of my favorite places on our trip to Versailles. 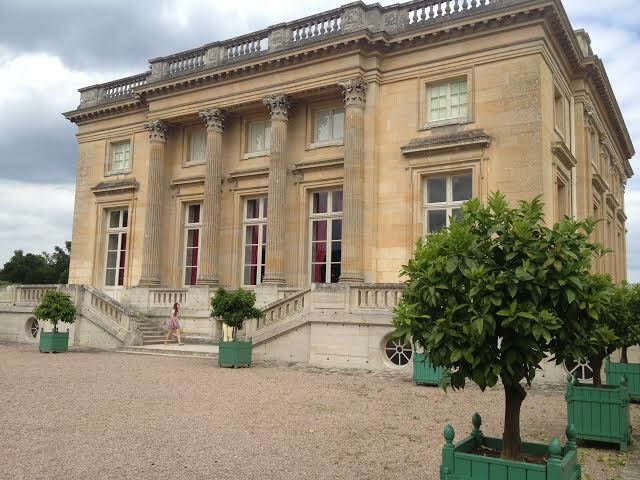 The Petit Trianon is where I would prefer to live. It’s big, bigger than I would be used to living in, but I think out of all the buildings that are on the grounds, it would be the one I would be most comfortable. Their lives were a spectacle at the main palace. They were watched by people as they woke up and went to sleep, and there was no privacy even going to the bathroom. Plus, the rooms we saw today are only a few compared to what is actually in Versailles. That is a bunch of people living in one house and constantly in your presence. I wouldn’t be able to hand it. The small jewel box would be small enough to keep those eyes looking for a spectacle away from me. I liked Versailles just because of the story of its development. 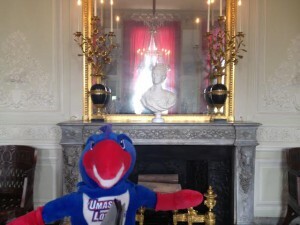 It started off as this small hunting spot that Louis XIII liked. They built a hunting lodge which then became a palace. The story of why it was built and how it was developed interest me because it started off as one idea which then lead to another. A place to get away to hunt and enjoy one’s time with participants turned into a place that was all about the show. It became a place about spectacle. The King and who went with him to the lodge could get away from the prying eyes in their life, but Louis XIV created a place that welcomed those eyes. 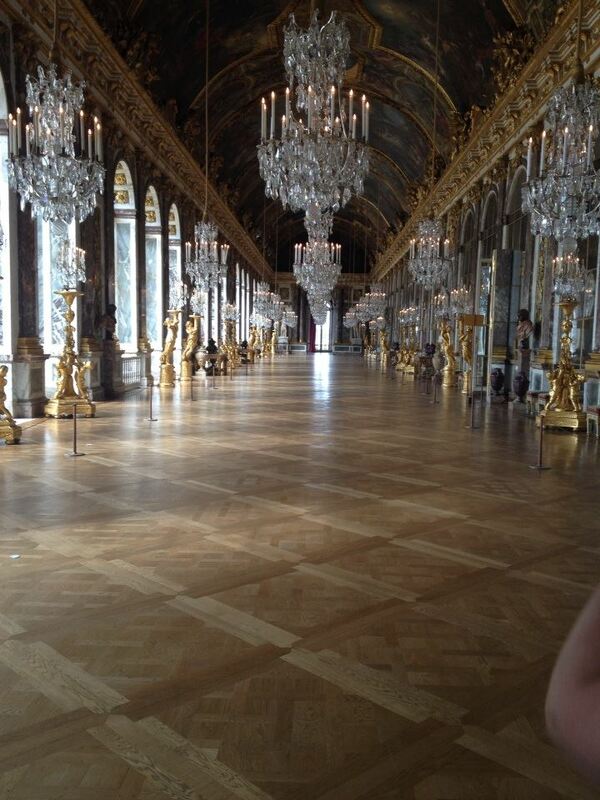 Even though I don’t think I could live with people watching my life, I think that the hall of mirrors would definitely be amazing to dance in. We got the privilege of being able to take pictures with the empty as it was closing and I could just imagine what it would be like to attend a ball there. If I lived in a time and place where everybody was watching and my life was a spectacle, I would definitely prefer the “small” place of the Petit Trianon, but I wouldn’t mind twirling around in that room with music in the background.